Corrective actions - what corrective actions am I capable of performing? Alternative choices - ... choices present themselves. Some are optional, some are mandatory alternatives. Estimate what's right in front of you - A quick estimate is needed to decide what to do. Keep going, speed up, slow down, stop? All depends on the situation. Estimates of needed resources - The resource plan for the project is needed no matter the method used to develop the project.What skills, how many of those skills, the availability of those skills? 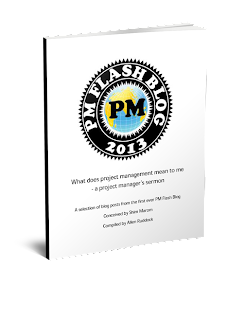 On projects knowing something about when you plan to finish is part of managing the project. Anyone working on a project that doesn't have some type of deadline is working on a de minimis project - it's too small for anyone to care about. Knowing the Value at Risk defines the magnitude and detail of the plan. Knowledge of capacity for work - how big is it? On projects, if we don't our capacity for work, we can't make informed estimates if we can get to the end in one piece.